We can host groups as small as 6, and if you're really popular, we can accommodate up to 70 of your family and friends! Nothing! Clothes are so overrated. But if you insist, we suggest you wear something comfortable, as in, NO HIGH HEELS. Wear something you'd wear if you wanted to ruin someone's wedding - close-toed shoes, a comfortable shirt you can throw stuff in, and comfy pants. Heck, wear plaid! Yes, make everyone wear plaid! YES we do! We're a part of The World Axe Throwing League (WATL). Check out the Axe Throwing League. section of our website to sign up. 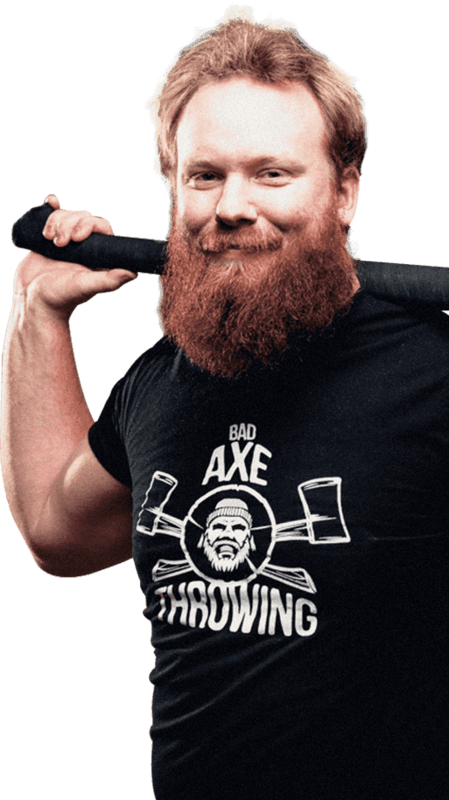 It's only $15/week and you get to compete against local axe throwers and people all over the world. NO EXPERIENCE REQUIRED! The rules will be explained to you during the orientation speech prior to your event. Can't wait? Check out our post on urban axe throwing rules. They are taken directly from WATL - the global governing body for the sport of urban axe throwing. The real answer is: Yes! You can cater in, order or have your mother drop off some cookies and milk. It's all included in your entry fee - feel free to bring your own food. We don't supply any eating utensils, but if we have any stored away from a previous group that left them, you're more than welcome to use it. Best to play it safe and bring your own utensils though. Whether young or old, fit or not-so-fit, axe throwing is accessible to every skill level. You don’t need to have jacked arms, but you do need to like fun. For your axe throwing party extravaganza, you’ll get a private lane to practice and throw for only you and your guests. You’ll also have one of our amazingly talented coaches who will host games, a round robin play and a tournament (after everyone is more comfortable throwing) to crown the champion, which we hope will be you—the birthday person! Bad Axe Throwing allows you to bring your favorite party snacks, and of course cake. If you’d rather have treats delivered, we’ll provide you with a list of local vendors who serve up only top-notch fare. Tables and a fridge are even provided for you to eat and keep it all extra fresh. Who doesn’t want to enjoy beverages in between axe throws? It’s the lumberjack way. Our birthday party's last, on average, 2 hours with one of our dedicated Bad Axe Throwing coaches. To book an event a minimum group size of 6 people is required. Private events & bookings cost anywhere from $35 - 44.25 + tax per person. Looking to have a more exclusive axe throwing experience? You can have our entire facility for a private event! You’ll also have one of our amazingly talented coaches who will host games, a round robin play and a tournament (after everyone is more comfortable throwing) to crown the champion. For your axe throwing extravaganza, you’ll get our whole facility to practice and throw for only you and your guests. Your group with be taken care of from start to finish and we promise each guest will leave with enough photos to fill up an Instagram feed for a week. Bad Axe Throwing allows you to bring your favorite party snacks, and even cake. If you’d rather have treats delivered, we’ll provide you with a list of local vendors who serve up only top-notch fare. Tables and a fridge are even provided for you to eat and keep it all extra fresh. Who doesn’t want to enjoy beverages in between axe throws? It’s the lumberjack way. 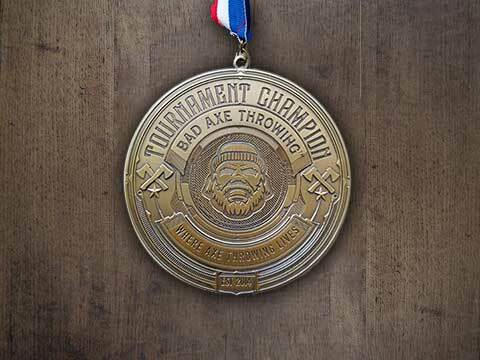 Our private events last, on average, 2 hours with one of our dedicated Bad Axe Throwing coaches. To book an event a minimum group size of 6 people is required. Bad Axe Throwing also allows you to bring your favorite party snacks, and even cake. If you’d like catered food, we can provide you with a list of local vendors who serve up only top-notch fare. Tables and a fridge are provided for you to eat and keep it all extra fresh. Who doesn’t want to enjoy beverages in between axe throws? It’s the lumberjack and lumberjill way.